Booking a transfer from Faro Airport to Alvor, How it works? All the transfers must be booked before you arrive at Faro, Lisbon or Seville airports. Using our booking form make the selection From Faro to Alvor, select the number of persons and the price will be calculated accordinglly. It will inform you the travel time and the distance Faro to Alvor. Enter dates, flight arriving and departing times. The pickup From Alvor to Faro will be calculated to be in Faro Airport 2 hours before the flight time and 2.5 hours to Lisbonne and Seville Airport. The transfer price to Alvor when confirmed is guaranteed by Ttaxi Travel. To confirm your booking Ttaxi Travel sends a confirmation voucher with all details to your email address. We will be in Faro airport to your arrival and on pickup time to bring you and your family back from Alvor to Faro Airport. Alvor is a small and old fishing village that came well known as a holiday destination. Due to its beach and river Alvor has a unique atmosphere in the Algarve. Facing the sunset Alvor gets the sun all day long. At the end of the day in the harbour the restaurants gets full of turists looking for a relaxed evening enjoying its sun set. At night Alvor offer a relaxing night with some bars and pubs in the center of the village. Praia da Rocha is 7Km away and offers a bigger range of entertainement with restaurants, bars and disco. Lagos is about 22Km away. There is 2 big supermarkets in Alvor Pingo Doce and Intermarche and some small ones in the center. Near by, about 7 Km away Portimao there is big shopping areas as Aqua shopping center or Continente. The new boardwalk along the beach with 6Km is exelent for walkers and for all who wants to enjoy the beutiful landscape of the Alvor beach, Alvor river, Lagos, Monchique mountain and Alvor town it self. To the left of the beach you can find some small beaches as Prainha beach in the middle of the cliffs. Water parks as Slide e Splash and Zoomarine are about half an hour away. Advertise your holiday accomodation in Alvor Algarve with Ttaxi Travel. Rent your villa, apartment, hostel, hotel in this site is FREE. 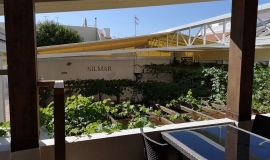 This apartment is situated in the heart of alvor close to restaurants, coffee shops, supermarket and all Alvor can offer to visitors.. Next to the main square and 2 minutes away from the harbour. 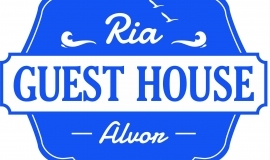 In the center of Alvor, this accommodation is 18 minutes' walk from Alvor beach. 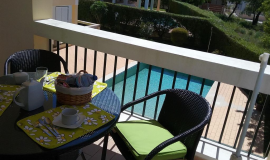 Located in Alvor, 900 meters from Alvor Beach, this apartment offers free Wi-Fi and a balcony. 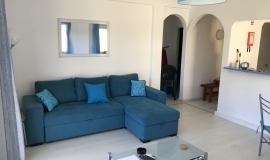 Bright and airy one bedroom apartment in the charming fishing village of Alvor. 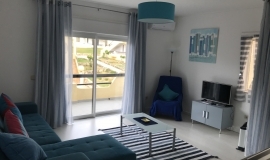 The Amália Vitorino Apartment is located near the centre of the fishing hamlet of Alvor, which boasts a beautiful sunny daytime weather and a vibrant nightlife. 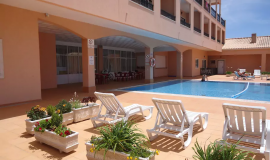 The Apartment Manuel Mendes is located near the centre of the fishing hamlet of Alvor, which boasts a beautiful sunny daytime weather and a vibrant nightlife. 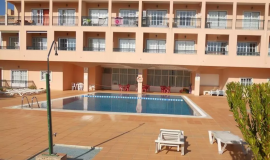 Situated 500m from Alvor center near pingo doce supermarket 900m away from Alvor beach. 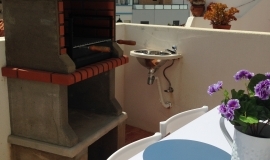 This apartment is equiped with air-conditioned, a balcony and garden. The kitchenette is equipped with an oven, a microwave and a toaster. A flat-screen TV is provided. with outdoor pool. Situated 500m from Alvor center and near pingo doce supermarket and 900m away from Alvor beach. 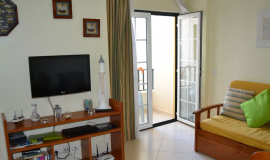 This apartment is equiped with air-conditioned, a balcony and garden. Casa Ramos offers mountain views and is 1.7 km from Três Irmãos Beach. 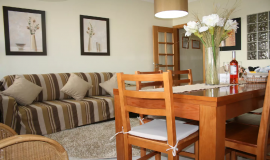 This nice Studio is located in the town center of Alvor, near to everything just 10 min walking distance to the beach. It is fully equipped and free internet. You can bring your bicycle, as there is a place to store it. 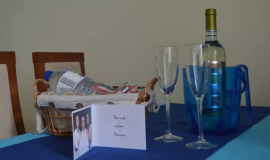 The Amália Lidório Apartment is located near the centre of the fishing hamlet of Alvor, which boasts a beautiful sunny daytime weather and a vibrant nightlife. This is a bedroom with bathroom in a quiet area in the center of Alvor not far from the main square. Can sleep 2 in twin beds. 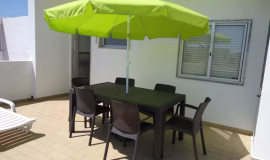 Fully equipped house with an excellent terrace with BBQ / Grill, with a view to the beach.It is located in the center of Alvor, but in a quiet area. 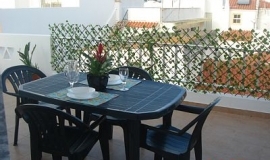 Appartment whith 2 bedrooms and 2 bathrooms at 5 minutes walking distance to the center of Alvor and is lovely harbour. Villa with 2 bedroom sleeps 5, just 300 meters from the Alvor center and 15 minutes walk to the beach. Get Quote & Book Now!